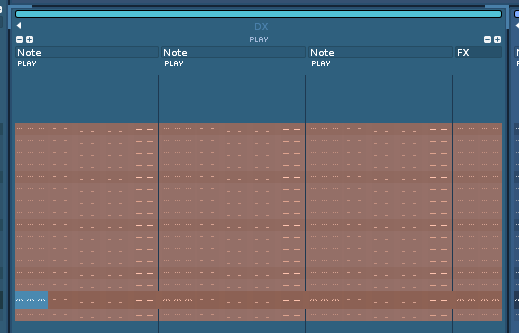 Hit hotkey for _Pattern Editor: Selection: Mark Whole Track_on a track with one or more columns, vol/pan/delay/fx visible, and no track fx column. Mark all elements in the track. 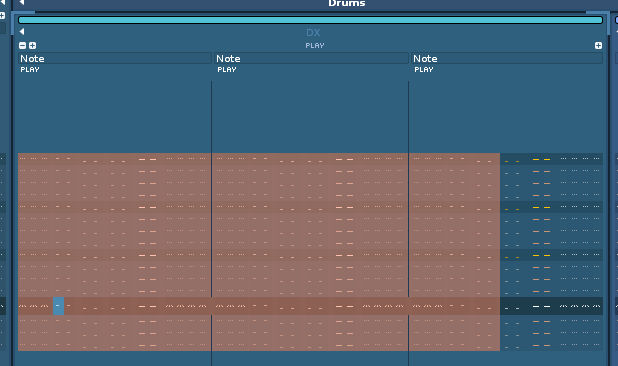 Marks all elements in the track except for the rightmost pan/delay/fx columns. When a track fx column is enabled/visible, all elements are selected. Thanks for reporting. Will be fixed in the next update.